Carshippingleads.co (CSL) is constantly harvesting fresh solid leads for people who need to move their vehicles from our vast custom-built network on the Internet. Customers are first attracted to one of hundreds of different sites especially prepared for their needs and SEO (search engine optimized) to come to their attention as quickly as possibly. They are then invited to fill out an easy risk-free contact form. These incredibly valuable and time-sensitive leads all go through a process known as electronic “scrubbing” which eliminates duplicates, bad zip codes, bogus submissions, and bad email addresses (really anything that would make the lead anything less than superior). 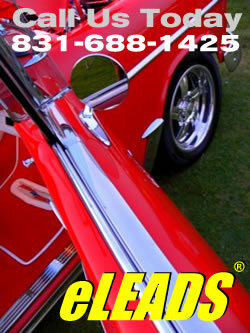 The result of this entire process is high-quality CSL eLeads. In deciding to get your top leads from CSL, you will then receive daily leads either five or seven days a week (which you determine) forwarded to you. These leads you share with no more than four other (sometimes less depending on the time of day) auto transport professionals, thus assuring a much higher rate of success in acquiring jobs. Unlike so many companies that are very willing to take your credit card information and bill you but are not around to talk with you on the phone, we are offering exactly the opposite! After a week of receiving our leads, if you aren’t happy we’ll give you a full refund. That is how confident we are that Carshippingleads.co’s eleads are going to improve your business and become your most reliable and constant source for business.